Welcome to our first edition of our Quarterly Newsletter which we hope you will find informative!!! Plans for traveling to Canada?? On the 22nd November, 2014, Canada’s immigration imposed travel restrictions on citizens of St Kitts and Nevis with immediate effect. This meant that our citizens who travelled to Canada without visas now require a visa However, the application process is relatively simple since it can be completed with a few clicks on the computer and does not require travel to the embassy. WalwynLaw can assist you with this process!!! 2016 Olympics in Brazil? 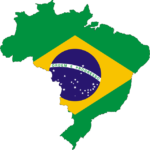 Travel to Brazil is now open without visa requirements effective as of 24th March 2015. Citizens of St. Kitts and Nevis can now travel to Brazil and 130 other countries without the need of a visa. The door has not closed its revolving; visit our Citizenship by Investment page to see the list of countries. Banking Legislation. The Nevis Island Assembly has recently passed the Nevis International Banking Act which regulates and governs Private Banks. The enactment of the legislation is still pending, but timely for the international wealthy seeking a safe non-tax jurisdiction as no income tax, capital gains tax or other direct tax will be levied in Nevis upon profits or gains derived from international banking within Nevis. The Foreign Accounts Tax Compliance Act (FACTA) implemented by the United States of America Federal Government requiring all US persons, individuals, financial institutions and Foreign Governments including those living outside the US to report financial assets to the US IRS. The Government of St. Kitts and Nevis recently signed the agreement on the 31st August, 2015 in Barbados. The consequences for non-compliance appear to be far reaching. Securing Your Data: WalwynLaw has implemented measures to secure data for our office and clients. We have also implemented a Backup Disaster and Recovery Plan to ensure we can operate with minimal impact for unforeseen circumstances. WalwynLaw want to assure our clients that we protect their ‘data’ as if it our own. Protecting and Securing Our Client’s Data is a Priority. We welcome your feedback and invite you to engage with us for more information and details.